After a price list leak, specifications and Geekbench scores for Intel’s upcoming seventh-generation Core i3 processors just hit the Internet ahead of the processor’s official unveiling. 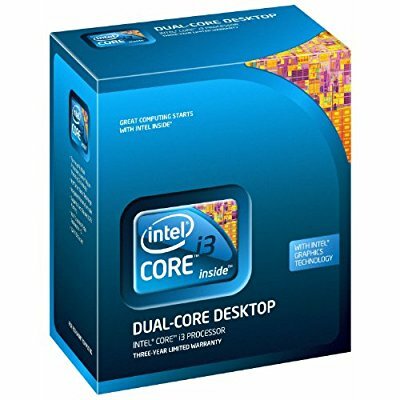 The Intel Core i3 leak, appears to confirm the speculations that the i3 would be unlocked and overclock-ready, a first for the Intel Core i3 range. The price list leak also confirmed the clock speed, price, and SKU for the upcoming unlocked Intel Core i3, but Monday’s leak goes a step further and gives us a peek at the budget desktop CPU’s performance — or it might, assuming the leak is accurate. The reported Geekbench scores for the Intel Core i3-7350K suggest that the low-end processor is anything but — it easily outperforms previous Intel Core i5 chips in both single- and multi-core scores. According to the leaked scores, the Intel Core i3-7350K received a single-core score of 5137 and a multi-core score of 10048, doubling or nearly doubling fifth and sixth-generation Intel Core i5 performance, according to tests performed by Overclock3d. The Intel Core i3-7350K should, according to the leak, sell for around $177, a little less than the lowest-end seventh-generation Intel Core i5, which will sell for around $195. It will also be the first time an Intel Core i3 processor will be available with the ‘K’ designation, indicating that it will be unlocked and support overclocking. It is welcome news for any bargain hunters looking to get some extra juice out of a relatively inexpensive, and apparently very capable, desktop processor. Out of the box, the Intel Core i3-7350K will have a standard clock speed of 4.2GHz, with two cores and four threads. It’s not quite as capable or robust as the quad-core top-end of the 7th-generation Kaby Lake catalog but as an affordable option, it appears that the Intel Core i3 will start to give the Core i5 a run for its money. Quite Impressive Specs Huh?.. I can’t wait to get my hands on this.